This week, we continue working on writing setting. Today, I want you to show how a character’s internal world affects how they perceive their external environment. 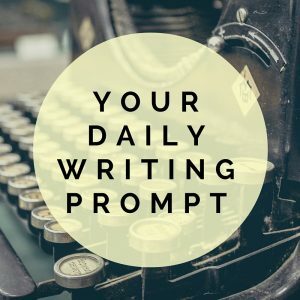 Today’s prompt: Write the set-up for two scenes: In the first scene, a character walks outside one day feeling a certain way. In the second scene, that same character walks outside but is in an entirely different mood than in the previous scene. Important: In both scenes, use the five senses to communicate what your character perceives in their environment and to show the change in your character’s mood.